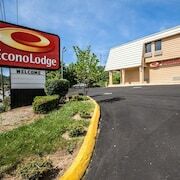 Located in Downtown Asheville, this hotel is within a 5-minute walk of Asheville Convention and Visitors Bureau, Basilica of Saint Lawrence, and U.S. Cellular Center. Grove Arcade and Downtown Market Asheville are also within 10 minutes. 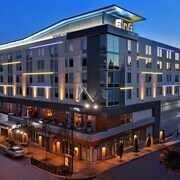 Located in Downtown Asheville, this hotel is steps from Grove Arcade and U.S. Cellular Center. Biltmore Village and The Orange Peel are also within 3 mi (5 km). 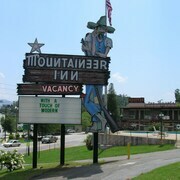 Located in Downtown Asheville, this motel is within a 10-minute walk of Grove Arcade and U.S. Cellular Center. Biltmore Village and The Orange Peel are also within 3 mi (5 km). 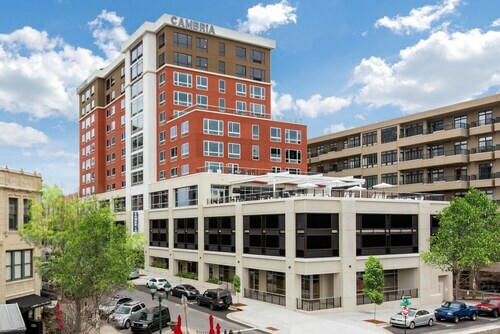 Located in Downtown Asheville, this hotel is within a 10-minute walk of Asheville Masonic Temple and U.S. Cellular Center. Biltmore Village and The Orange Peel are also within 3 mi (5 km). 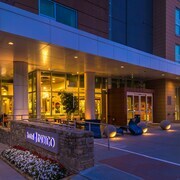 Located in Downtown Asheville, this hotel is within a 5-minute walk of Basilica of Saint Lawrence and U.S. Cellular Center. Biltmore Village and The Orange Peel are also within 3 mi (5 km). 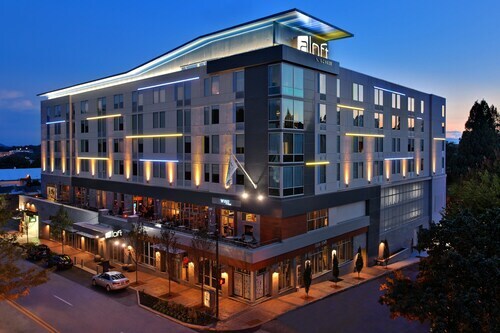 Within walking distance to the best restaurants and shops in Downtown Asheville, explore the city by foot when you stay at the Aloft. 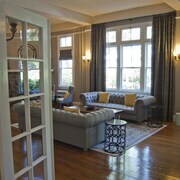 Rooms feature fabulous views of the mountains and downtown Asheville. 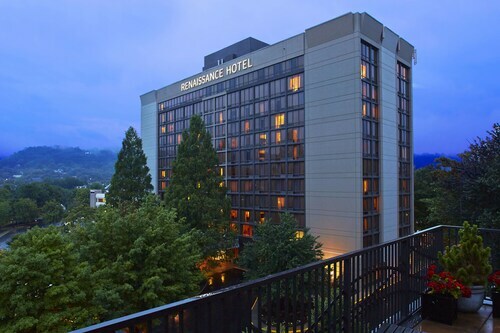 Located in Downtown Asheville, this historic hotel is within a 5-minute walk of North Carolina Stage Company and U.S. Cellular Center. Biltmore Village and The Orange Peel are also within 3 mi (5 km). 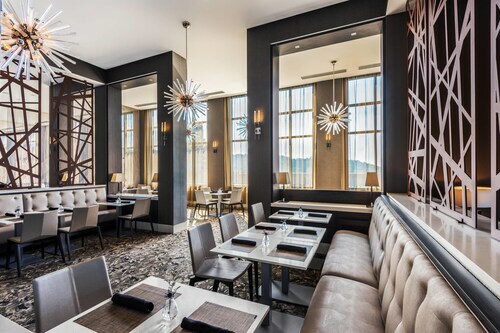 Located in Downtown Asheville, this hotel is within a 10-minute walk of Black Mountain College Museum, The Orange Peel, and U.S. Cellular Center. Biltmore Village and University of North Carolina at Asheville are also within 3 mi (5 km). 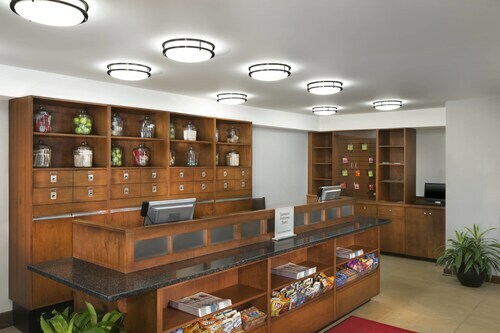 Located in Downtown Asheville, this hotel is within a 10-minute walk of Pack Square, Thomas Wolfe Memorial, and Diana Wortham Theatre. Pack Place Education Arts and Science Center and Vance Monument are also within 10 minutes. Located in Downtown Asheville, this boutique hotel is 0.2 mi (0.3 km) from Thomas Wolfe Memorial and 2.3 mi (3.7 km) from Asheville Mall. Biltmore Estate is 5.4 mi (8.6 km) away. 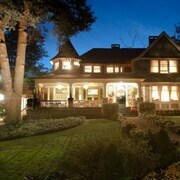 Located in Downtown Asheville, this hotel is within a 5-minute walk of YMI Cultural Center and The Orange Peel. Biltmore Village and U.S. Cellular Center are also within 3 mi (5 km). How Much is a Hotel Room in Downtown Asheville? Hotels in Downtown Asheville start at $85 per night. Prices and availability subject to change. Additional terms may apply. There it is again: that restless feeling you get when your everyday routine becomes mundane, and the desire to wander takes over. You start thinking of a place nestled between the Blue Ridge and Great Smoky Mountains, where the fall foliage turns the colors of a flickering flame in a fireplace and the scent of tangy North Carolina barbecue wafts through the downtown streets. There’s a sense of familiarity about this place. It feels like home. Some may think this marvelous place only exists in the movies or on the postcards, but it’s real. 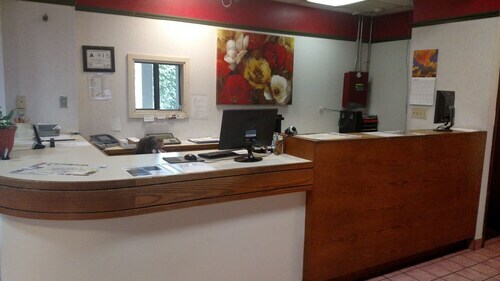 It exists, and the easiest way to get there is to book a stay at one of our incredible downtown Asheville hotels, such as the Haywood Park Hotel. The sweet taste of North Carolina barbecue and good old Southern comfort are within your reach. What’s the best time to visit Asheville, NC? The best time to travel to this town out of all the four seasons is up to you, traveler, but here’s what we think: The summer months are much cooler than most Southern cities, and the sweltering heat of the eastern North Carolina plains seems to be nonexistent when you’re hiking through a thick woodland of dogwoods and buckeye trees in Pisgah National Forest. The local flora is a lush green color, thanks in no small part to the rain showers that commonly fall in the summer afternoons. But when autumn takes ahold of this town, those emerald woods seem to be lit on fire due to the changing of the leaves. The brisk, clear days and fall foliage offer the perfect setting for exploration. 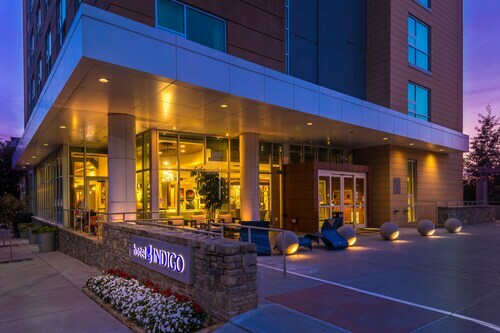 Whether you wander in the summer or in fall, our Asheville downtown hotels, like the Days Inn Asheville/Mall, are perfect places to put your feet up after a long day. What is Asheville known for? Asheville is known for a multitude of wonderful sights, sounds, and attractions. The grandest sight of them all is an 8,000-acre private estate that looks like it jumped out of the French countryside and landed in the Western North Carolina Mountains. The Biltmore Estate will dazzle and astonish you with its massive chateau serving as its center piece, surrounded by a park that rivals any city park in the country. You’ll feel like a part of the Vanderbilt family while roaming the exquisitely maintained grounds of this massive estate. The appetizing smell of Carolina-style chopped pork smothered in sweet barbecue sauce is too much for you to handle. You’ve got to treat yourself a flavor experience that will last a lifetime. Wander the streets of downtown Asheville and take your pick from establishments like Luella’s Bar-B-Que, 12 Bones Steakhouse, and Moe’s Original BBQ. They’re all worthy of your presence, so pick one and start eating. You’ve read all there is to read about this quaint town in the North Carolina Mountains, and you’re hooked. You can’t wait to get this adventure started. Book one of Travelocity’s downtown Asheville rentals and set off for the “Tar Heel State.” Bring your appetite and a desire to explore. Hotel was very clean and maintained. 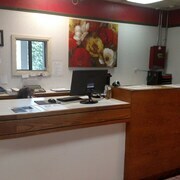 Staff was extremely friendly and willing to help with any questions. While this is not the most modern or up to date hotel I've stayed at, the cleanliness & friendly staff more than made up for it. Would definitely stay here again.